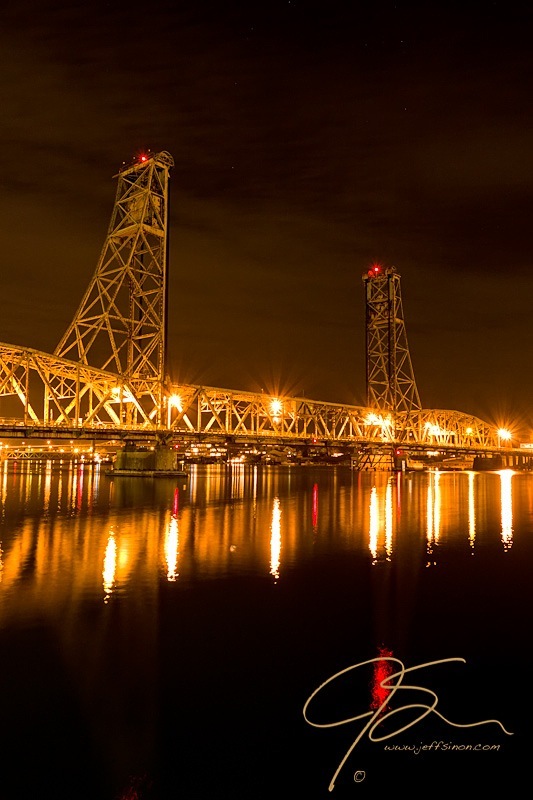 (The Memorial Bridge, connecting Portsmouth, NH and Kittery, ME has recently been torn down and is slated for replacement). These are all wondrful – colors in the color hsots and peacefulness in the one with the boats! Thank you very much! 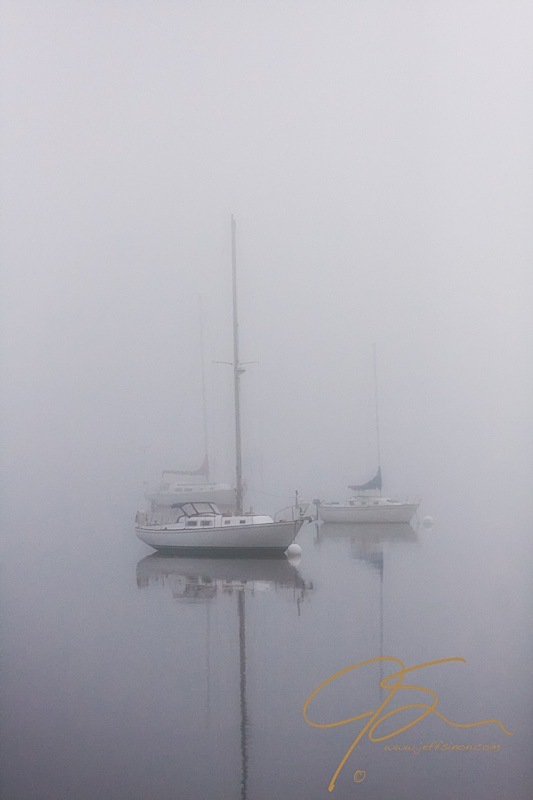 The fog the day I shot the sailboats was quite soothing. Oh, what gorgeous shots! Loved all of them.. Thank you, I really appreciate the compliment! I also went and checked out the New England page.. that really blew me away! Those Loon photos in particular! The lily is great! It took me a few seconds to realise that half of it is a reflection! It’s lovely. I also love the misty boats and their masts – it’s so simple and still. Thank you very much Jude. I love the hot pink ones, most of the ponds around me have plenty of white ones, but this one place has at least as many pink. It’s a popular place with the fishermen, and I think they think I’m nuts. I’m usually in the water, and in this case up to me waste, when I’m photographing them. Thank you, Ailsa, for the very nice comment, and for stepping up to the plate with a challenge! Thank you Lauren! It is one of my favorite spots when I head north with my camera. It has been very good to me photographically speaking. 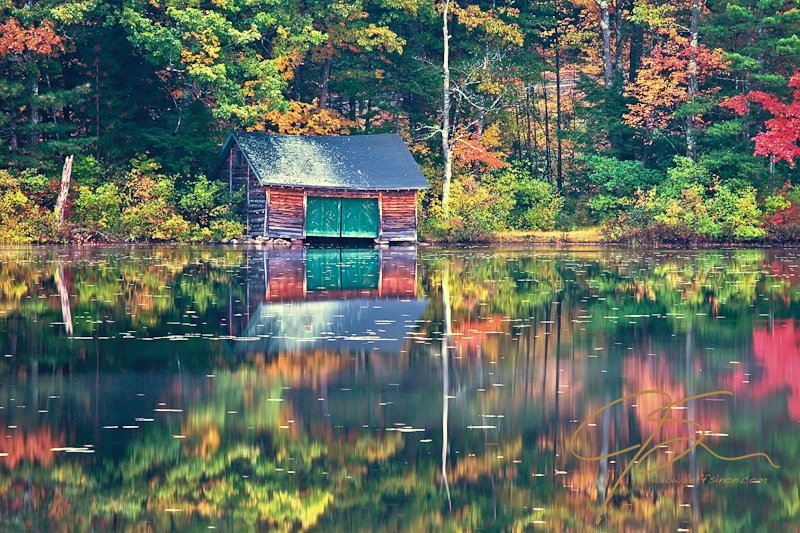 The first two shots in my entry for the “Through” challenge,https://jeffsinonphotography.wordpress.com/2012/03/24/weekly-photo-challenge-through/ as well as the boathouse, were all taken from the same bridge in the fall. You gotta love a place like that, especially in the fall. That’s good to hear. My photographs are meant to create feelings of joy, wonder, and sometimes awe(being too close to bears;-) ), not cause a medical emergency. Can’t have my audience dropping dead now can I? That’s a tough call Paula. Obviously I like them all 🙂 If I had to pick one it would have to be the boathouse. But the bridge is right up there if only because I can never take that photograph again. That bridge has been taken down and is being replaced. Well done. They are beautiful, as always! Oh I don’t know about that. I see a lot of talent in these challenges, but thank you! Thanks for taking the initiative, Jeff. I have been patiently waiting for the next theme and I am glad to finally have one. Nice photos! Thanks, but I can’t take any of the credit. I’m just a messenger passing along another’s idea. Thanks, I just realized this. I appreciate the clarification. Have a nice day! Beautiful Jeff! Love the masts in the mists! They are so ghostly and ethereal! Wow, Jeff! These are so beautiful! Thank you for sharing your talent with those of us who are embarking on this journey of photography. As I have told others, never hesitate to ask me a question. I have been fortunate to receive help from several extremely talents photographers as I was learning my craft, I feel it is my duty to return the favor. I find it humbling and a more than a little surprising that someone would actually ask for my help. I don’t claim to know everything, and I’m always learning, but what I do know I will share freely. My door is always open! Jeff, I appreciate that more than you know. wow, that Masts in the MIst is gorgeous and inspiring! love it. and love your signature! thank you also for dropping by! All of them are beautiful but the second one is just GORGEOUS – wonderful colours! Thanks Lucy, coming from you I consider that very high praise! Thank you, that one does seem to be a favorite of quite a few people. I’m glad you like it as well. Thank you! If I were pushed to choose, that one would be my favorite of the bunch as well. Great series, Jeff and like the variety in the reflections you showcased. Beautiful photos there, love the boathouse. Thank you! It is one of my favorite places. 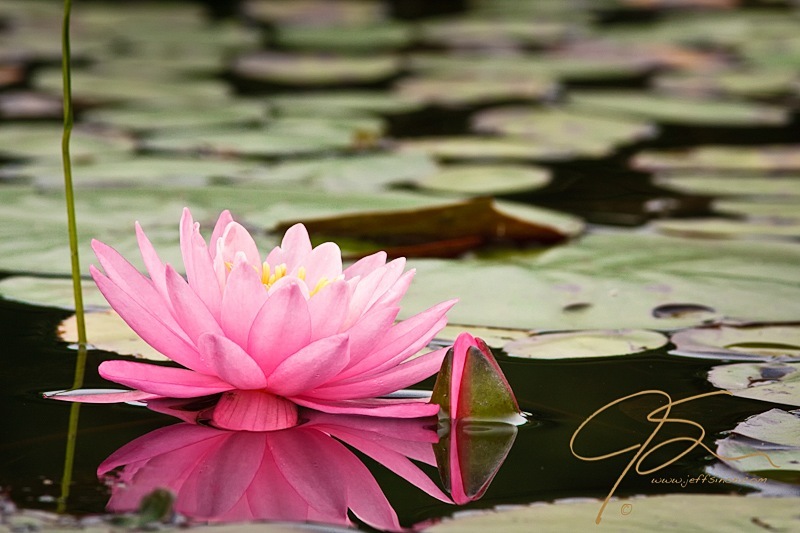 I’ve always wanted to see a water lily in person. It’s on my buscket list. I had no clue they were fragrant. This one looks like it is flaoting with invisible wings. Thank you Isadora, I have to be honest, I have no idea how fragrant they really are. But that is what they are called. Considering what I’m willing to go through to photograph them you would think I’d at least take a sniff. If you are ever in New Hampshire in the summer I will show you all the water lilies you could ever want. Love the boats in the mist, Jeff! Great shots! I am insanely busy. I haven’t had time to go shooting in a while, but hopefully I’ll find time soon to update the blog and let everyone know what I’ve been up to. Read you soon! ← The New England Photography Guild Blog.